Right now, while you are reading this blog, there is a good chance that you have headphones in your ears, as you simultaneously listen to music. Headphones are probably incorporated into some part of your day, whether it’s during your morning commute, at the gym or while at work; odds are that at least once a day, you listen to some sort of media via headphones. We are going to give you a brief history about those little ear buds that allow us to individually listen to music and interact with media, even when in a noisy setting. 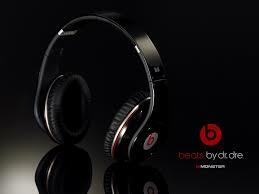 Now, we have Apple’s EarPods and Beats by Dre to name a few. But, before these headphones ever came to be, it all began in 1910 when Nathaniel Baldwin invented the first pair of headphones in the kitchen of his Utah home. The legend goes like this: Lt. Comdr. 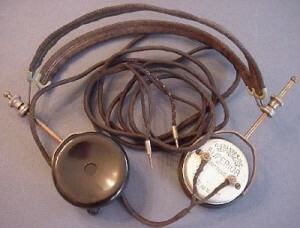 A. J. Hepburn of the U.S. Navy received a prototype for a pair of telephones that were fashioned into a headset and accompanied by a letter from Baldwin that was written in purple ink on blue and pink paper. Initially, the message was disregarded by Hepburn. But, after he finally tested the device, he found that the invention worked surprisingly well in transmitting sound. As time went on, the Navy began to request more and more headphones from Baldwin, who at the time could only accept orders for 10 at once, because he was producing them in his kitchen. 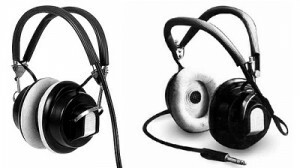 Until 1958, headphones were used almost exclusively for radio communication. That is until John Koss introduced a portable phonograph that he wanted to rent to patients in Milwaukee hospitals. This is when he revealed the original Koss SP3 Stereophones that were initially intended to be a sidebar. However, the headphones proved to be revolutionary, because their sound quality made them an optimal device for listening to music. 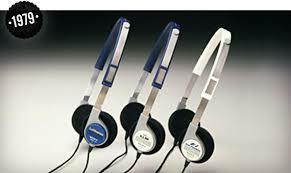 Let’s fast forward to 1979 when Sony released the Walkman Headphones. In the beginning, portable music players and headphones were on the larger side. The original set that Baldwin invented weighed upwards of a pound. While on the other hand, Koss’ stereophones’ earpads would literally consume your ears. Just like any other invention, updates were needed in order to find a better way to listen to music on the go. That’s when Sony created a more portable pair of headphones, the MDR-3L1, which were lightweight and included the portable cassette player. The trend of smaller, lightweight and portable headphones didn’t lose steam, because in 2001, Apple first released the iPod, which came with earbuds. In 2012, along with the launch of the iPhone 5, there was a new era in the world of headphone inventions when Apple released the EarPod. This new product design was periscope-like and directed sound right into the ear. Just as companies started shying away from the voluminous design of headphones and swapping it with a more subtle design, hip hop artist and producer Dr. Dre worked with Interscope Chariman Jimmy Lovine to create a statement set of headphones otherwise known as Beats by Dr. Dre. This new invention design solidified headphones as a fashion statement. Over the past 100 years, headphones have come a long way and revolutionized the way that we consume media and the way that we communicate. Just as the invention of headphones has come a long way, so too has its design and with the rise of smartphones and tablets, the need for this invention is greater than ever!